Background: Statins have been a major keystone in the management of patients with atherosclerotic cardiovascular disease. 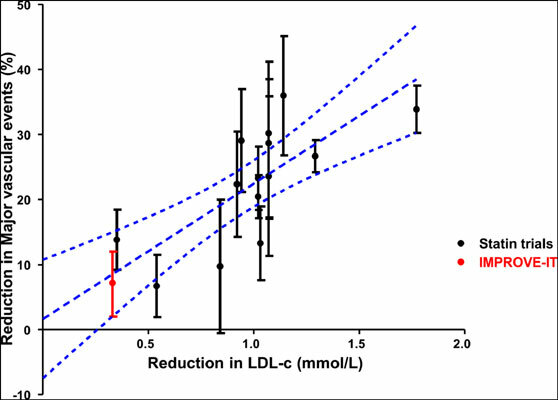 The benefits of inhibiting HMG CoA reductase, via statins, were translated into reduction in LDL-c with proportionate decrease in cardiovascular events in response to the magnitude of LDL-c reduction. Despite major advances in pharmacological treatments, including the use of high-dose statins, there are urgent need to further reduce future cardiovascular risk. This is in particularly important since 1 out of 5 high-risk atherosclerotic patients who achieve low LDL-c return with a second cardiovascular event within five years. Although this residual risk post-statin is largely heterogeneous, lowering LDL-c beyond ‘normal’ or guidelines-recommended level using novel therapies has resulted in further reduction in cardiovascular events. Objective: The current review will discuss the use of PCSK9 inhibitors in patients with atherosclerotic disease. PCSK9 inhibitors are a new class of lipid-lowering drugs that are either fully human monoclonal antibodies (evolocumab and alirocumab) or humanised monoclonal antibodies (bococizumab) that effectively reduce LDL-c to unprecedented level. By blocking circulating PCSK9, these drugs would preserve LDL receptors and prevent them from cellular degradation. This process promotes recycling of LDL receptors back to hepatocytes surface, leading into further reduction of LDL-c. Combining PCSK9 inhibitors with statin have led into lower LDL-c, reduction in plaque volume and more importantly reduction in future cardiovascular events. Conclusion: These drugs are very promising, nonetheless, the unselective approach of applying these monoclonal antibodies may not prove to be cost-effective and potentially exposing some patients to unnecessary side effects. Lipid-lowering drugs, PCSK9 inhibitors, statins, risk stratification, vascular imaging, plaque burden, plaque composition.